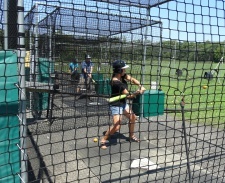 How far can you hit? 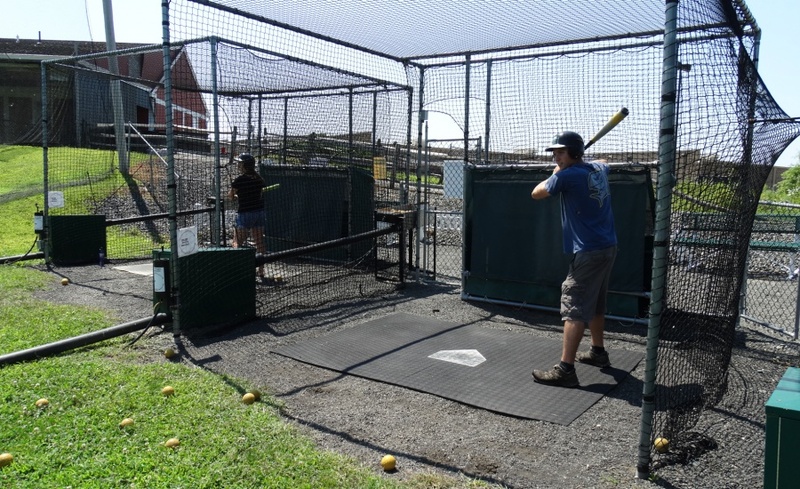 Take a swing and find out with BallPark Batting! 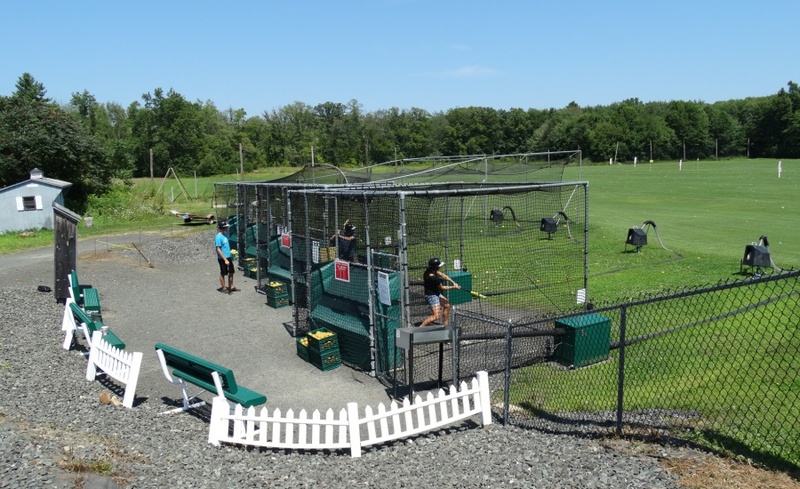 Bring your favorite bat (or use one of ours), and watch your grand slam as it flies into the open field. 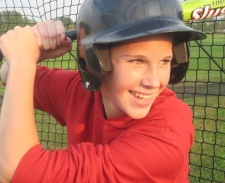 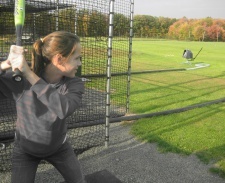 From the youngest family members to the seasoned player, everyone enjoys BallPark Batting! 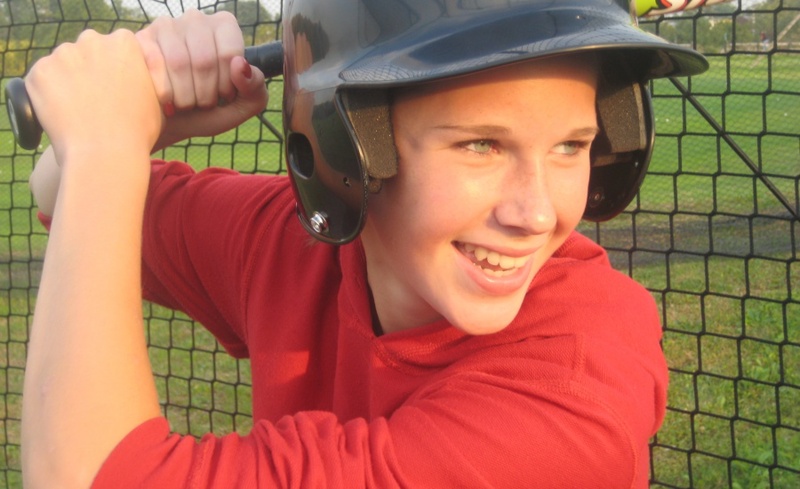 The True Flex Baseball is unique to BallPark Batting as it offers the fun hitting experience with safety in mind. 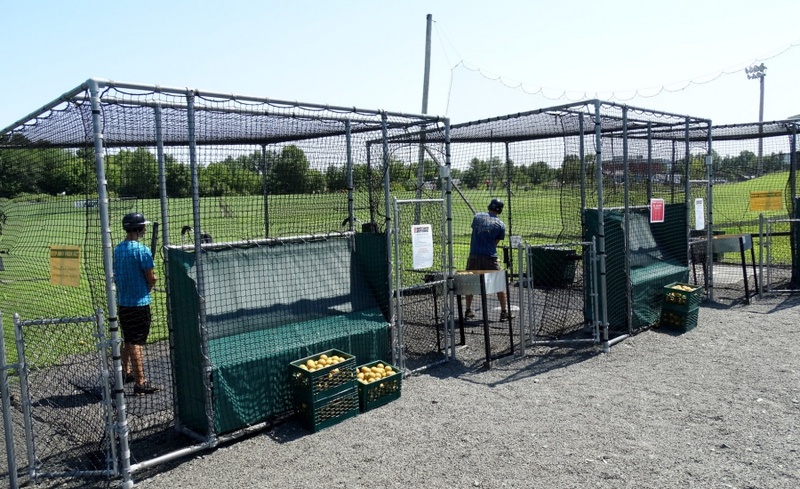 BallPark Batting is a proprietary product manufactured on the Golf Center property. 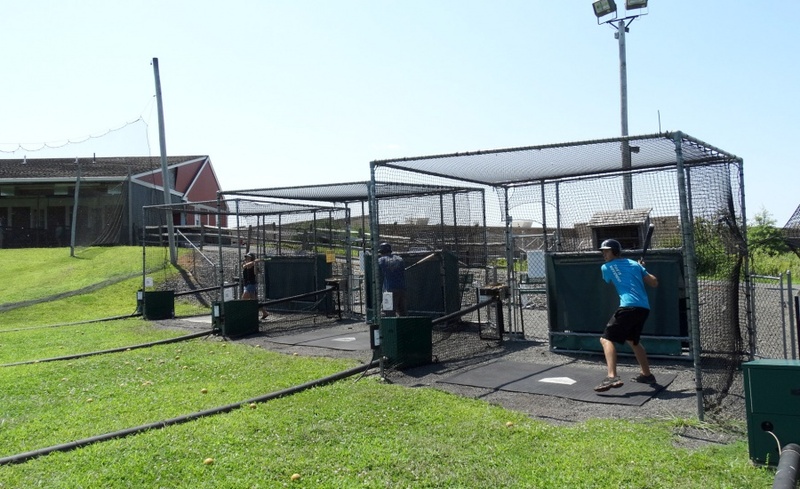 Typical baseball batting cages involve the narrow confines of a cage, but BallPark Batting is not like your typical batting cage. 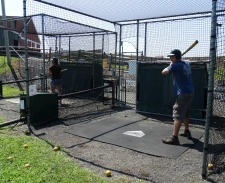 It was designed as a unique experience similar to actual baseball. 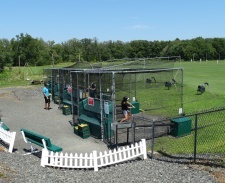 Easy set-up for stand-alone golf ranges and any facility with a few hundred yards of under utilized space. 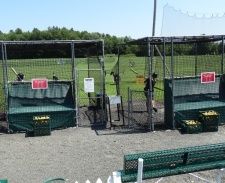 Our engineering team created an automated batting system that “out performs” many batting cage systems. 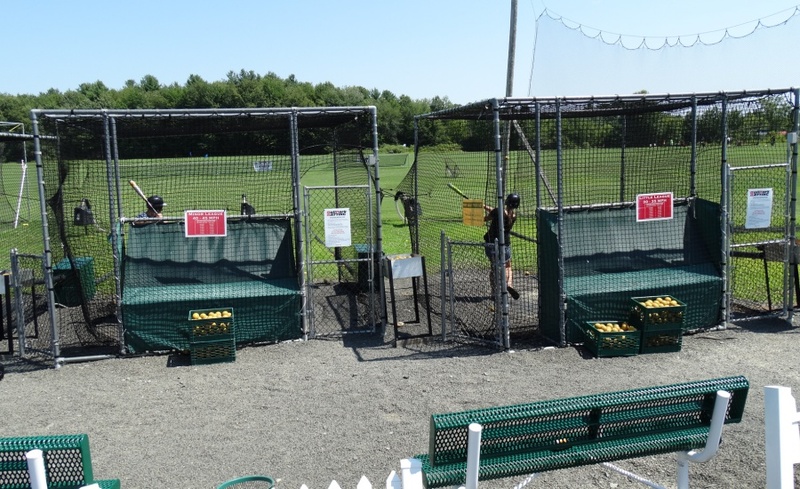 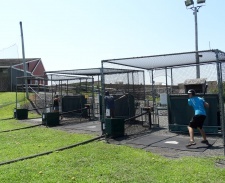 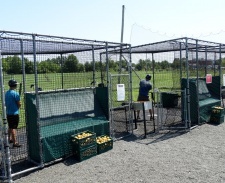 Batting cages surround the player with steel and confine hitting the ball to a small space, whereas Ballpark Batting offers a a realistic open Ballpark experience for your customers at less setup cost to you.